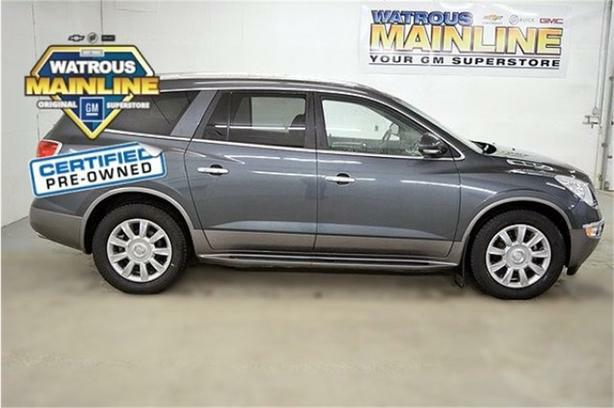 Check out this certified 2011 Buick Enclave CXL1. Its Automatic transmission and Gas V6 3.6L/217 engine will keep you going. This Buick Enclave has the following options: Seats, heated driver and front passenger, All-wheel drive, WHEELS, 19 X 7.5 chrome clad aluminum, 6 speed automatic transmission, seven passenger seating configuration, ENGINE, 3.6L V6, DIRECT INJECTION, and dual skyscape sunroof including power sliding front & fixed rear section. Stop by and visit us at Watrous Mainline Motor Products Ltd, 208 1st Avenue East Box 70, Watrous, SK S0K 4T0.